Materials selection for induction gear hardening, including specifics of electromagnetic induction vs. thermo-chemical diffusion processes (e.g., carburizing). Impact of friendly vs. unfriendly prior microstructures (parent materials). Short review of metallurgical subtleties of rapid heating of steels and its effect on the kinetics of austenite formation. 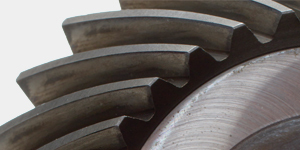 Tooth-by-tooth induction hardening of large gears and pinions. Shape/size distortion control and prevention of cracking. Review of inductor designs and selection of process protocols. Avoidance of tempering back effect. Review of hardening equipment and introduction of the capability of novel IFP inverters that instantly change power and frequency during tooth scan hardening helping to improve metallurgical quality and avoid edge overheating. 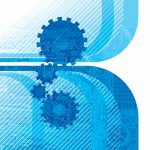 IFP technology provides essential benefits when scan hardening a variety of gears with appreciably different tooth geometries enhancing process flexibility, greatly expanding induction equipment capabilities and addressing industry needs for cost-effectiveness. Recently published technical resource for gear heat treat professionals – the 2nd Edition of the Handbook of Induction Heating . The second edition reflects innovations that have taken place over the last decade in the practice and science of modern induction heat treating, computer modeling, power supplies, failure analysis, and quality assurance, etc. Part 2 is devoted to induction gear hardening by encircling the whole gear (external or internal) or sprocket with an induction coil (the so-called spin hardening, Figure 1). Materials for this article have been adapted from the 2nd Edition of the Handbook of Induction Heating by V. Rudnev, D. Loveless and R. Cook . 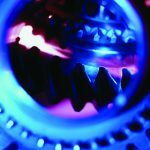 In contrast to carburizing and nitriding, induction hardening does not require heating the whole gear or pinion. Instead, the heating can be primarily localized to the areas where metallurgical changes are desired. 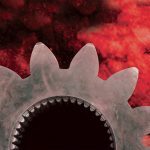 Not all gears and pinions are well suited for induction hardening. 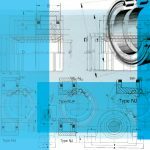 External spur and helical gears, worm gears, internal gears, racks, and sprockets are among those that are typically induction hardened. 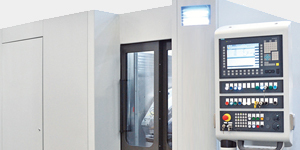 The first step in designing a gear-hardening machine is to specify the required surface hardness and hardness profile. Insufficient hardness and its depth, as well as an interrupted (broken) hardness profile at the tooth contact areas, will shorten gear life owing to poor load-carrying capacity, premature wear, tooth bending fatigue, rolling contact fatigue, pitting, and spalling, and can even result in some plastic deformation of the teeth. Among other factors, operating load condition (whether there are occasional, intermittent, or continuous loads) has a pronounced effect on the tooth geometry and hardness profile. There is a common misconception that a uniform contour profile is always the best pattern for all gear-hardening applications. It is not. In some cases, a certain hardness gradient can provide a gear with superior performance although, in many applications, a true contour hardening pattern yields the best gear characteristics and maximizes the beneficial compressive residual stresses within the case depth (Figure 2). 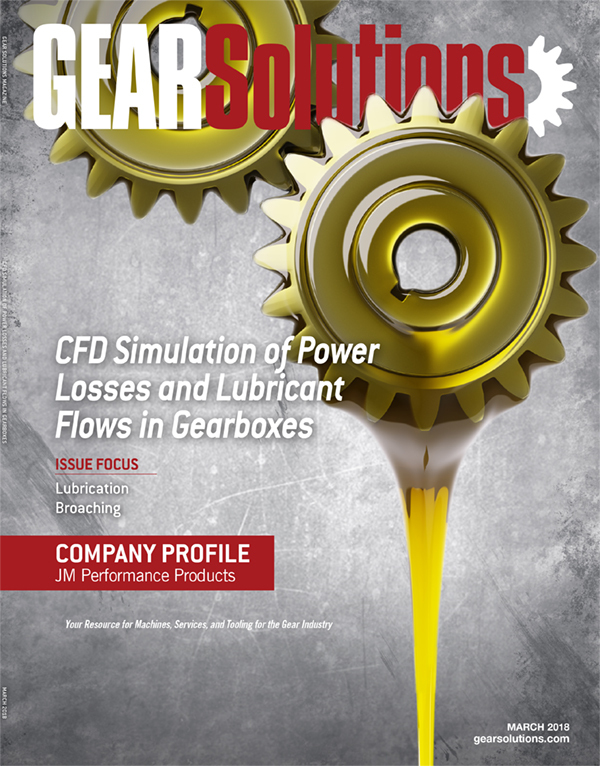 Spin hardening of gears utilizes a single- or multi-turn inductor that encircles the gear. It is typically used for small- and medium-sized gears. Gears are rotated during heating to ensure even distribution of energy, compensating for the field fringing effect. Unfortunately, spin hardening sometimes cannot be easily used for certain gears with complex geometries because of the difficulty in obtaining a sufficiently uniform austenized surface layer prior to quenching. 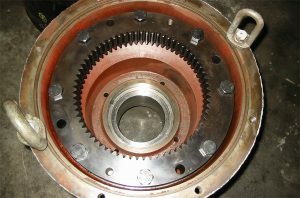 Besides, in the case of appreciable size gears, it might also require an excessively large amount of power owing to the necessity of short heat times suppressing thermal conduction in order to obtain the desired hardness pattern. 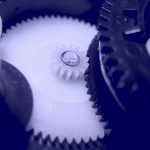 Still, if applicable, gear spin hardening is the most popular technology for hardening a variety of gears. Figure 3: These hardening patterns were obtained on the same carbon steel shaft (left and middle images), with teeth using different combinations of heat time, frequency and power . When applying encircling coils, there are five parameters that play a dominant role in obtaining the required hardness pattern: frequency, power, heat time, quenching conditions, and coil geometry. Certain combinations of these parameters can result in different hardness patterns. As an example, Figure 3 shows a diversity of hardening patterns that were obtained on the same carbon steel shaft (left and middle images) with teeth using different combinations of heat time, frequency and power, and variation of hardness pattern for automotive transmission component for a parking brake (bottom-right image) with helical teeth on the inside diameter (applying frequency of 200kHz) and larger teeth on the inside diameter (applying frequency of 10kHz). In order to illustrate an effect of frequency on the eddy current flow, let’s consider two extreme cases shown in Figure 4: the application of “high” frequency (left) and “low” frequency (right). When high frequency is applied, the induced eddy current flow generally follows the contour of the gear teeth. This leads to a heat source surplus in the tip of the tooth compared to that in the root. Besides that, the tip of the tooth has a substantially smaller mass of metal to be heated, compared with the dedendum and in particularly root area, where a much larger thermal heat sink is located. These two major factors in combination with electromagnetic proximity effect result in greater heat intensity at the tip, with a corresponding temperature rise and deeper case depth upon quenching. Figure 4: This illustrates the effect of frequency on the eddy current flow in two extreme cases: the application of “high” frequency (left) and “low” frequency (right). In contrast, an application of low frequency (Figure 4, right) is associated with a dramatic increase of the depth of heat generation, and potentially leading to eddy current cancellation at the tooth tip (top land) and possibly even at the addendum area. This makes it much easier for induced currents to take a shorter path, following the root circle of the gear instead of following along the tooth profile, leading to more intensive heat generation in the tooth root area compared with its tip. As a rule of thumb, when it is necessary to harden only the tooth tips, a higher frequency and high-to-moderate power densities are applied. When hardening the tooth root, a lower frequency in combination with short time and high power density is used. Low power density and extended heat time produces a deep pattern with a wide transition zone. 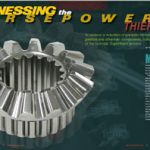 It is imperative to keep in mind that depending on gear geometry, besides frequency, the variation of applied power density can shift the heat intensity within the gear tooth. For example, the application of sufficiently high frequency in combination with a relatively low power density could result in tip hardening, or hardening only the tip and addendum area. However, if the power density is substantially increased (keeping the same frequency) and heat time decreased, it could result in more intense heating of the root area instead of the tooth tip. 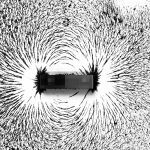 Higher power density reduces magnetic permeability μr by saturating the steel and leading to a considerable increase of the depth of the heat generation, thus modifying the eddy current flow within the gear tooth. Figure 5: Shown here is an example of applying excessive power density and the use of lower than-optimal frequency. Figure 5 shows an example of applying excessive power density and the use of lower than-optimal frequency. The teeth were approximately 8 mm tall. Regardless of the fact that the tips of the teeth were located much closer to the current-carrying face of the encircling coil compared to their roots, the great majority of eddy currents have completed their loop following the root circle, resulting in severe overheating there. As expected, the terms high frequency and low frequency have relative meanings. For example, depending on the tooth geometry, a frequency of 10 kHz may “act” as a high frequency for coarse teeth (Figure 4, bottom right, OD teeth) and 200 kHz may “act” as a low frequency for splines, threads, fine teeth (Figure 4, bottom right, ID teeth) or “skinny” teeth, for example. 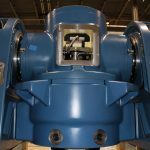 There are several ways to accomplish quenching for gear spin hardening. One technique is to submerge the gear in a quench tank upon completion of austenization. This technique is applicable for moderate and relatively large-sized gears. 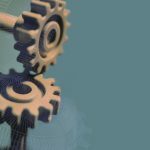 Small- and medium-sized gears are usually quenched in place, using an integrated quench. The third technique requires the use of a separate concentric quench block (quench chamber) located below the inductor, or in its proximity. Quenchants used in gear spray quenching commonly include water and aqueous polymer solutions. Because of safety concerns, the use of oil quenchants with spray quenching is not recommended. There are a variety of complex thermo-hydro-dynamic processes involved in spray quenching, with the cooling intensity being a function of several factors including the surface temperature of the workpiece, type and purity of quenchant, pressure/flow, design of the quench assembly, number and distribution of quench holes (orifices), size of orifices and angle of drilled holes (impingement angle), quenchant temperature, gear rotation, and others. Quench orifices are placed at approximately 4- to 6-mm intervals in a staggered pattern. The orifice diameter is related to the specifics of the quenching requirements, including the air gap between the quench device and the gear, the type of quenchant, its concentration, required flow, and others. Dirt and foreign deposits (e.g., hard water deposits or scale) can clog the orifices, which may build up slowly in quench devices, reducing their cooling capacity and introducing cooling nonuniformity and may necessitate extensive cleaning or replacement. 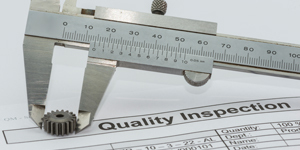 Various aspects of the maintenance of quenching devices are discussed in . The cooling rate is critical for obtaining martensitic structures. There is a common misunderstanding regarding the ability to apply the widely published cooling curves to induction hardening applications using spray quenching. Classical cooling curves quantifying three stages of quenching – vapor blanket (Stage A), nucleate boiling (Stage B), and convective cooling (Stage C) – cannot be applied directly to spray quenching because the great majority of those curves are obtained using the immersion cooling technique. The differences are both quantitative and qualitative, and they include, but are not limited to, the specifics of film formation and heat transfer through the vapor blanket during the initial quenching stage (Stage A), as well the kinetics of formation, growth, and removal of bubbles from the surface of the gear during nucleate boiling (Stage B). Because of the nature of spray quenching, Stages A and B are greatly suppressed in time, while cooling during the convection stage is noticeably more intense, representing the forced heat convection mode (owning to gear rotation during quenching) compared with the process represented by classical cooling curves . Conventional single-frequency concept (CSFC) – CSFC is used for hardening gears and sprockets with small teeth and splines. In these applications, it is often acceptable to through harden teeth, and CSFC can be a cost-effective approach to doing so. Quite frequently, CSFC can also be successfully used for medium-sized gears without through hardening the entire tooth, but having deeper case depth at the tip and shallower case depth at the root. 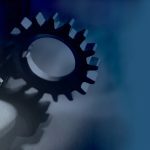 Although CSFC is the most cost-effective approach for small- and medium-sized gears, there are cases where this concept is applied for large gears as well. 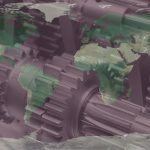 Quite often, in order to optimize gear performance and reduce distortion, it is desirable to make a hardness distribution as close to contour hardening as possible. Unfortunately, CSFC does not typically allow doing so. Pulsing single-frequency concept (PSFC) – In order to overcome the drawbacks of CSFC and to improve the hardness distribution, PSFC was developed. 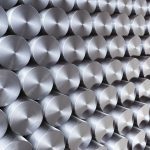 In many cases, PSFC allows the user to noticeably improve the shortcomings of CSFC and obtain a hardening pattern that is more contoured than patterns obtained using the CFSC concept. Pulsing assists in providing the desirable heat flow toward the root without overheating of the tooth tip. A typical PSFC protocol consists of a moderate- or low-power preheat, soaking stage, short high-power final heat, and quenching. This approach is also known as dual pulse hardening. Preheating improves the heated depth at the root, enabling an enhancement of the metallurgical result. Preheat times typically range from several seconds to a minute, depending on the size and gear geometry. After preheating that may consist of several pulses, there may be a short soak time to achieve more suitable thermal conditions. Final heat times can range from less than 1 to a few seconds. 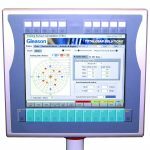 Pulsing dual-frequency concept (PDFC) – The idea of using two different frequencies producing the desired contour hardness pattern has been around since the late 1950s. 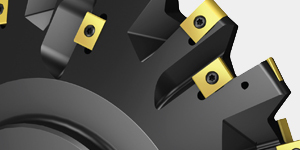 This concept was primarily developed to obtain a contour hardening profile for helical and straight spur gears. Obviously, since that time the process has been refined, and several innovations have been developed. 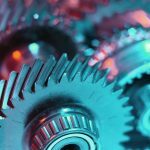 According to PDFC, the gear is preheated using lower frequency to a temperature determined by the process features. This temperature is usually 350°C to 100°C below the critical temperature Ac1. Preheat temperature depends on the gear specifics and available power/frequency source. It should be mentioned that the higher the preheat temperature, the lower the power required for the final heat. However, excessively high preheat temperatures can result in increased distortion. 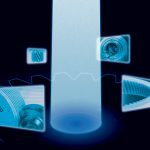 As with PSFC, PDFC can be accomplished using a single-shot mode or scanning mode. The scanning mode is typically applied for shafts with teeth. Preheating is usually accomplished by using a medium frequency (3 to 10 kHz). Depending on the type of gear, its size, and material, higher frequency (30 to 450 kHz) in combination with high power density is applied during the final heat, where the selected frequency allows the current to penetrate only to the desired depth, helping to obtain a contour-like hardness pattern. In some cases, dual-frequency machines produce components with lower distortion having a more favorable magnitude and distribution of residual stresses compared to using single-frequency techniques. However, depending on the tooth geometry and presence of undercuts, the time delay between low-frequency preheating and high-frequency final heating could have a detrimental negative effect for obtaining truly contour hardened patterns. Attempts have been made to minimize the gear indexing time, keeping it within the 0.25–0.6 s range. However, further reduction is limited by inertia and the mechanical capability of the transferring/indexing mechanisms. 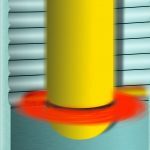 Even such a seemingly short time delay between preheating and final heating may have an appreciably negative impact that discourages the achievement of optimal heat treat properties. Independent frequency and power control concept (Statipower-IFP Technology) – One of the impressive novel technologies is referred to as Statipower IFP. 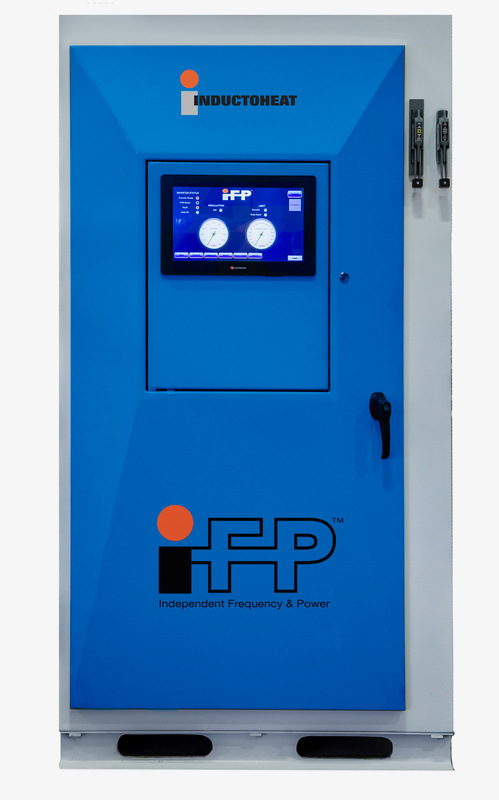 IFP Technology allows independent and instantaneous changing of the power and frequency (within the 5- to 60-kHz range) during induction hardening. Therefore, this technology allows eliminating some shortcoming associated with PSFC. The Statipower IFP inverter’s (Figure 6) ability to independently and instantly (like a CNC machine) change both frequency and power during the heating cycle allows heat treaters to use a lower frequency for preheating the root areas, while a higher frequency helps ensure sufficient heating of tooth flanks and tips when hardening moderate-sized gears . 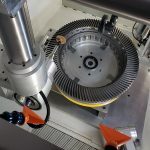 This technology eliminates the need for using expensive high-speed transferring/indexing mechanisms and noticeably improves the hardness pattern. Figure 7: This example of the coil current waveform was generated by a simultaneous dual-frequency inverter comprising two substantially different frequencies applied simultaneously to a single inductor, making it much easier to obtain a true contour hardening of the gear teeth. 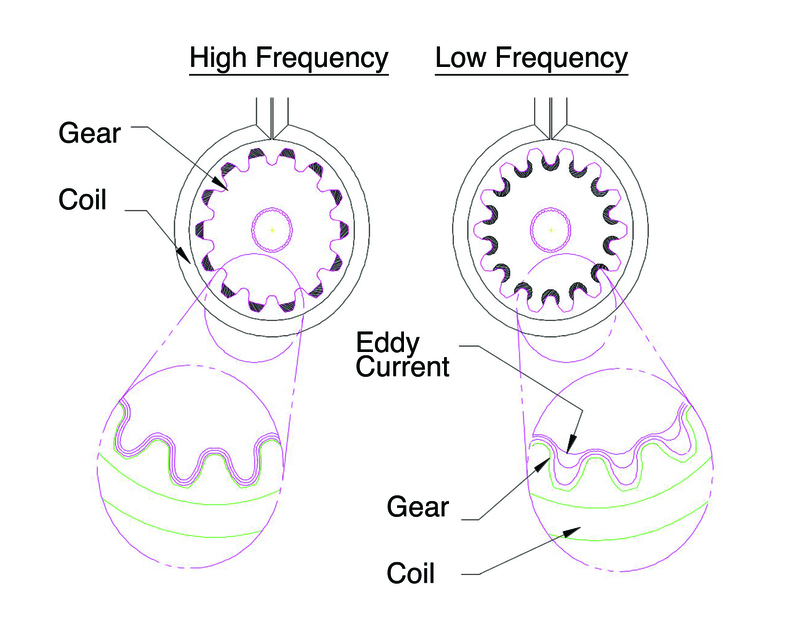 Single-coil, dual-frequency concept (also referred to as simultaneous dual-frequency concept) – Limitations of the PDFC concept have initiated the development of an alternative technology called simultaneous dual-frequency gear hardening as a way to further improve the quality of induction-hardened gears. The core of simultaneous dual-frequency gear-hardening technology is associated with the development of solid-state inverters capable of producing two substantially different frequencies simultaneously. 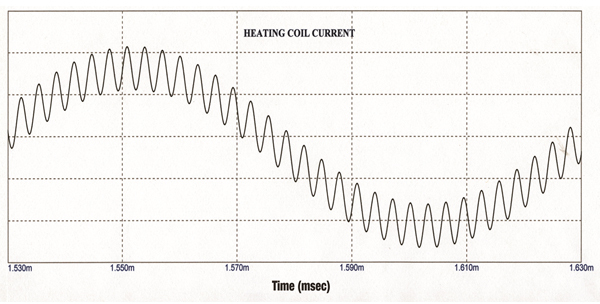 Figure 7 shows an example of the coil current waveform generated by a simultaneous dual-frequency inverter comprising two substantially different frequencies applied at the same time to a single inductor, making it much easier to obtain a true contour hardening of the gear teeth. The lower-frequency output of the power supply helps austenitize the roots of the teeth, and the high frequency helps austenitize the flanks and tips. As an example, Figure 8 illustrates the effect of different combinations of time, power, and frequency of hardening patterns on the spur gears. Experience reveals that it is not always advantageous to have two different frequencies working simultaneously. Many times, depending on the gear geometry, it is preferable to apply lower frequency at the beginning of the heating cycle, and after achieving the desirable root heating, the higher frequency can complement the initially applied lower frequency, completing the job by working together. The relatively high cost is the main shortcoming of power supplies that produce two simultaneous frequencies. Nevertheless, single-coil simultaneous dual-frequency technology has a number of obvious advantages over conventional single-frequency hardening. Higher cost can be justified using this technology, when it is appropriate. Compressive residual stresses after induction hardening of gears and gear-like components applying single frequencies are typically within -400MPa to -550MPa. The magnitude of residual stresses depends greatly upon material, its prior microstructure, hardness pattern profile, and the process recipe/protocol. Shorter heat time normally produces higher compressive residual surface stresses. Simultaneous dual frequencies commonly allow one to minimize the heat time, producing a more contour-like hardness pattern, and thus allowing increase compressive residual stresses that could reach -600MPa to -700MPa. However, some gears with “skinny” teeth having a narrow tooth thickness might not allow for a true contour hardened pattern almost regardless of the applied frequencies or heating concepts reducing a magnitude of compressive residual stresses at the tooth surface. It is also critical to make sure that in through hardened regions of tips, there is fine martensitic structure, not a coarse martensitic structure. This will help to improve toughness, ductility and impact strength regardless of the through hardening tip area. 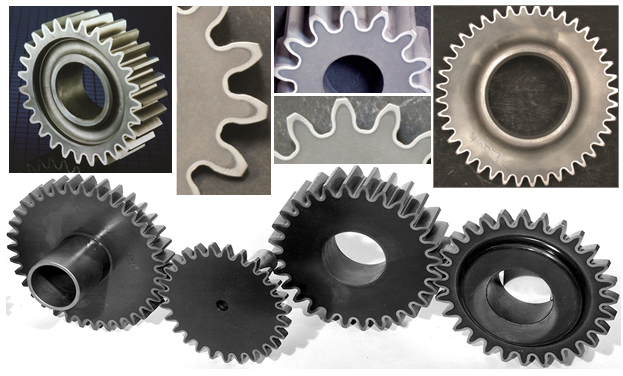 Some gear manufacturers applied shot peening after induction surface hardening of gears further increasing compressive residual stresses at the surface and subsurface and improving fatigue strength, bending strength and obtaining needed pitting prevention characteristics. Sometimes, double shot-peening is applied. During the first stage of peening, the larger particles are used, allowing one to increase the depth of compression. 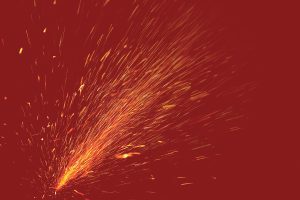 Then, for the second stage, they apply high-intensity shot-peening utilizing smaller size particles (so-called conditioned cut wire particles), further increasing the magnitude of residual compressive stresses and making sure that hard-to-reach regions are treated. In such cases, residual surface compression may exceed -900MPa. It is important to apply so-called conditioned cut wire particles, as such particles have a special finish with sharp edges removed without damaging the tooth surface and improving pitting characteristics. Large shot-peening particles are typically within 0.6mm to 0.8mm dia., and small particles are within 0.1mm to 0.25mm dia. 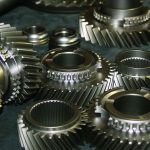 Again, not all induction surface hardened gears and gear-like components undergo a single or double shot peening, but some of them may apply it. Figure 9: More information related to processing via. electromagnetic induction can be found in the 2nd Edition of the Handbook of Induction Heating, shown here (CRC Press, 2017). The publisher has granted permission publishing the materials contained in Parts 1 and 2 of this article. Space does not permit for a more detailed discussion of all the intricacies of induction gear hardening. More information related to processing via electromagnetic induction can be found in the 2nd Edition of the Handbook of Induction Heating (Figure 9), which embarks on the next step; the design of practical, cost-effective, and energy-efficient induction processes. The majority of the content presented in the first edition has been completely rewritten for the second, and a significant amount of new material has been added. It is intended to reach a wide variety of readers including practitioners, engineers, metallurgists, managers, students, and scientists. 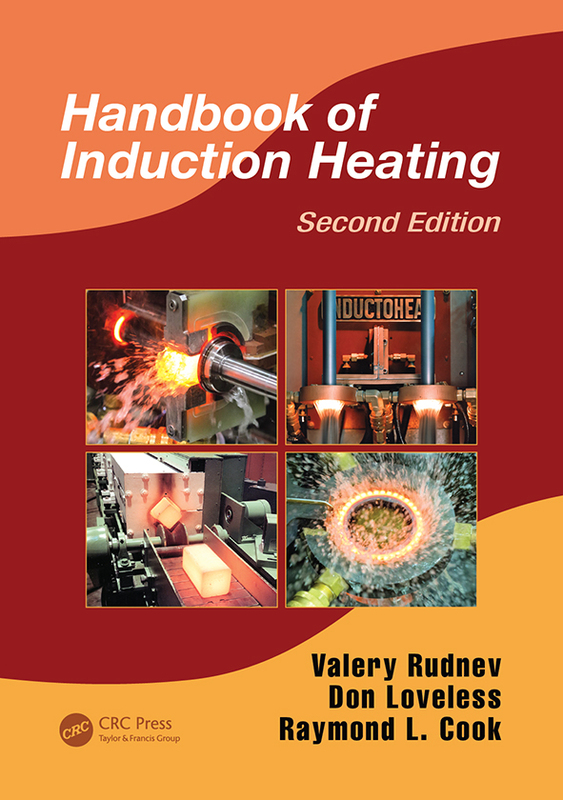 V. Rudnev, D. Loveless, R. Cook, Handbook of Induction Heating, 2nd Edition, 2017. G. Doyon, V. Rudnev, C. Russell, J. Maher, Revolution-not evolution-necessary to advance induction heat treating, Advance Materials & Processes, September, 2017, p.72-80. 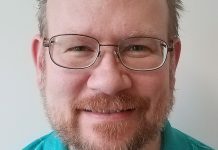 is a Fellow of the American Society for Materials and Group Director, Science and Technology, Inductoheat Inc., An Inductotherm Group Company. 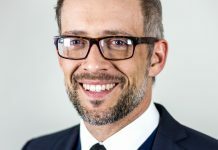 He is also a Fellow of International Federation for Heat Treatment and Surface Engineering (IFHTSE) and considered by many as one of the leading global figures in the induction heating industry. 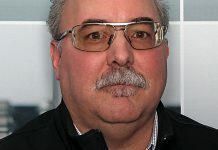 Rudnev has more than 30 years of experience and is known within the American Society for Materials (ASM International) and among induction heating professionals as “Professor Induction.” His credits include a great deal of “know-how,” more than 50 patents and inventions (U.S. and international), and more than 250 engineering/scientific publications. 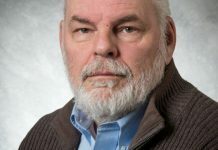 He co-authored the 2nd edition of the “Handbook of Induction Heating,” CRC Press, 2017 and multiple chapters for nine handbooks devoted to various aspects of induction heating, heat treating, material science, computer modeling, and process development. For more information, visit www.inductoheat.com.